”It’s better to stand firmly on two feet than to barely stand on one leg.” That’s Arttu Kalli’s reasoning behind an unorthodox decision to pitch two products at once – and it paid off. On the face of it, customer service and fleet management solutions might not have much in common. But under the hood they share a lot of common technology. That’s why it makes sense to present two Eeedo’s products on one go. Eeedo was founded already in 2010, focusing on a social intranet platform. 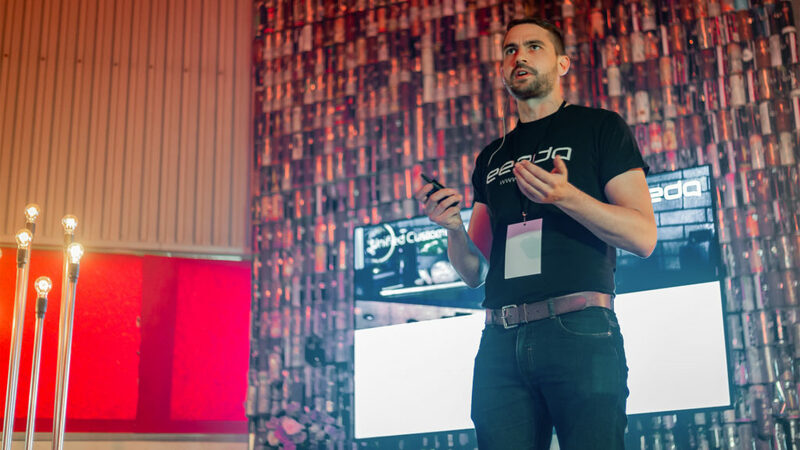 Two years ago, new products were introduced and Eeedo became a full-time job for Arttu. “My background is managing a portfolio of thousands of products on four different business units”, he says. “So I feel it’s safer to have many products – to even out the demand fluctuations”. “We had two goals for the Stream Festival”, Arttu remembers. “To meet the Tampere startup community, the old and new friends. And to win the Slush stand.” All the goals were reached, so you can call it a successful night for Eeedo. Speaking of more, what’s with the three E’s in the company name? For more Tampere flavor, you definitely need to check out the Tampere Slush Party. 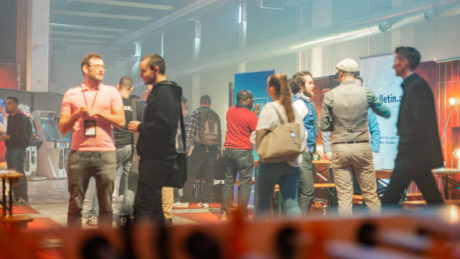 Sign up at https://businesstampere.com/tampere-slush. Who creates opportunities for startups? 6Aika – Ecosystems of Growth: Enabling the Growth of Companies through Collaboration is the project aimed for that. A joint effort by the cities of Helsinki, Espoo, Tampere, Vantaa, Turku and Oulu, the project is funded by the European Regional Development Fund (ERDF), Helsinki-Uusimaa Regional council and, for the Tampere part, by Tampere city region economic development company Tredea Oy (Business Tampere) and the city of Tampere. How to get the most out of this sprawling event, meet the right people and network? Join the Tampere Slush Party by Business Tampere!